I’ve only had this once; it was at a family party last October. I didn’t think it was too bad at the time. Just last week my good friend Gonzalo gave this to me to take home and review. I do have to admit that I love those “most interesting man in the world” commercials. 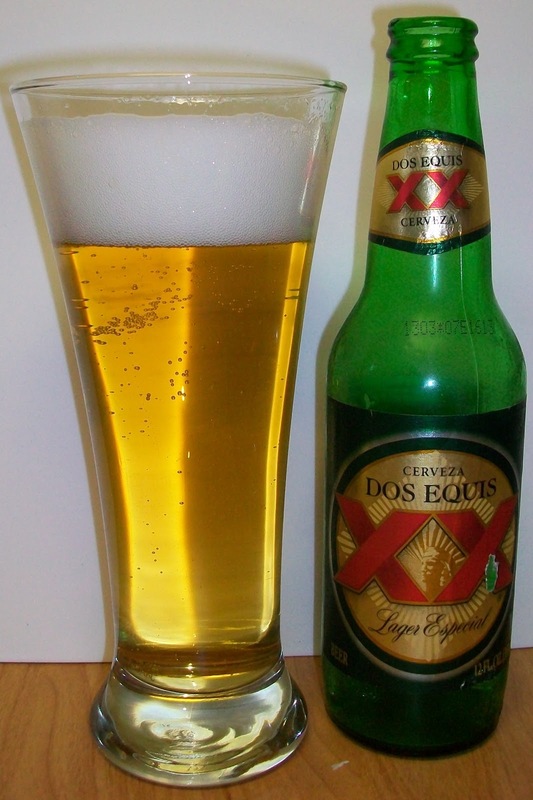 So let’s see why the most interesting man in the world drinks this when he’s drinking beer. The beer pours a clear pale golden straw color with a bright white head. The head diminished fairly quickly. There is a fair amount of carbonation with tiny bubbles rising up from the bottom of the glass. I would have expected the green bottle to be a little skunky but that is not evident from the nose. The nose has light pilsner type malt aromas and with a gentle swirl a light hop presence is realized. All and all the nose is not too bad. The aromas are light but nothing wrong or offensive. Well from the first sip I must say that this beer is drinkable anyway. Sorry, that was a bit snobbish. The first sip wasn’t too bad with nothing unpleasant or offensive. Gee that wasn’t much better. At any rate this is light in flavor but still a very drinkable beer. There, that’s better. The sip starts out with just a hint of light malts up front then a very pleasant effervescence over the tongue in mid-sip. The back-end is effortless in the swallow. There is also another release of carbonation during the swallow that makes this very refreshing. Not much flavor but refreshing. The finish is very dry. There is not really a hop bite or bitterness but the hops are there. Again there is not much a flavor but more importantly there is nothing offensive either. This is not a bad Adjunct Lager. It does not seem to have the grassy corn or rice notes that you would expect in an Adjunct. It is however very light but also refreshing. I certainly would drink this over any of the big Macro American Adjuncts any day. We are now at 56 degrees. As it warms a little I am picking up more of a malt sweetness on the finish. This is actually quite pleasant. I am also starting to pick up a hint of off flavors in the final aftertaste as we are now finishing this at 60 degrees. Still not too bad for an Adjunct, it was quite enjoyable. Well as enjoyable as an Adjunct Lager can be. I have not rated any of the other adjunct lagers so I will not rate this one either. Even rating by class the best Adjunct Lager can not compare to an all malt lager or any real craft beer. It would end up being something like an A in class but a D- overall. So I have chosen not the rate Adjuncts. That being said I have to tell you that I would not turn this down if it were offered to me at a party and I would actually buy it in a restaurant that did not serve and craft beer. I certainly would purchase this over any of the American Macro's. 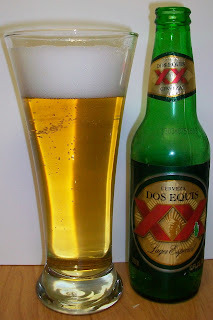 There is not much to it but it is a somewhat enjoyable and refreshing American Adjunct Lager. I guess I should end this by saying "Stray Thirsty My Friends".